Jacob and Pavlina are fellow wedding photographers from the Czech Republic but based out of London England. While I was there this past spring, I met up with them to do their engagement photos. We met in their neighborhood of Hackney and they took me on a little tour of the area. I instantly fell in love with all the old architecture and character of the town. Even though it is quite often cloudy and raining in London, there are beautiful pops of color everywhere! After we explored the town, Jacob and Pavlina took me to a cute little local cafe for a hot cup of coffee. The smell of fresh bread and pastry from the cafe was amazing, I seriously can't get over how delicious the food in England is. I can't wait to go back to London soon and do some more exploring! 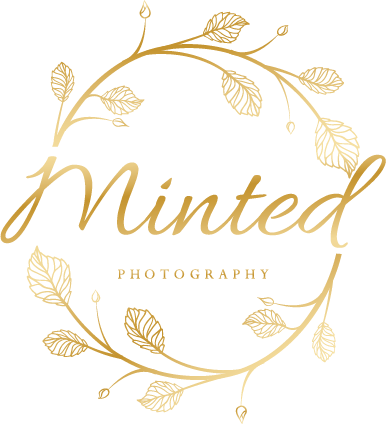 If I ever hear of someone needing a wedding photographer in London I will refer them to you! Knocked it out of the park with this session! Thank you so much Joseph. I would love to shoot a London wedding! What a stunning engagement in London!! They look like they would be such a chill couple too! I can't even imagine how gorgeous their wedding will be. Beautiful work!!! You are so right, they are a super relaxed and fun couple. Their wedding was breathtaking! What a sweet London engagement session! They are so cute and that blue door shot at the beginning is so adorable! Thank you Simone. As soon as I seen that door I was like "yep that needs to be in the photos"
Her ring is gorgeous and these tones are legit. Is this Portra 400? London on Film and what a rad way to shoot and engagement session. Hi Matt :) This session was actually captured on Fuji 400 but with the combination of rain and overcast it really looked like Portra 400. I love that you are a fellow film enthusiast! Wow, I really love this London wedding photography! Your work is so crisp and beautiful! Thanks so much Cassandra. I loved London so much! What a beautiful London engagement session! They are so stylish and fun! What an awesome Edmonton engagement session. Such a cool couple! Thanks Darren! This engagement session actually took place in London England. I wish Edmonton looked like that! that blue door in your first shot! so much fun! this is seriously a gorgeous London engagement session. you've totally reminded me why i loved it there so much! Thanks Shanna, I was super obsessed with that blue door too! The architecture and style in London is to die for! I can see why you're pining to get back to London for a wedding! What a fun, laid back session. Yes! London is so amazing! I really hope I get to go back soon!